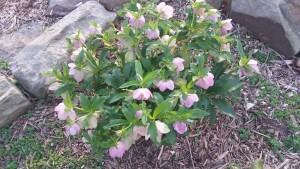 Hellebore, or Lenten Rose, is a shade loving, evergreen perennial. 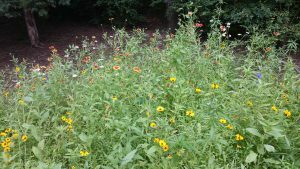 These plants bloom from February through May and come in a variety of colors. 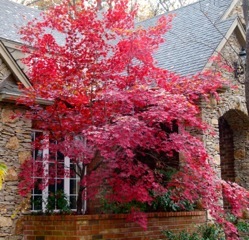 A Japanese Maple showing brilliant red in December. 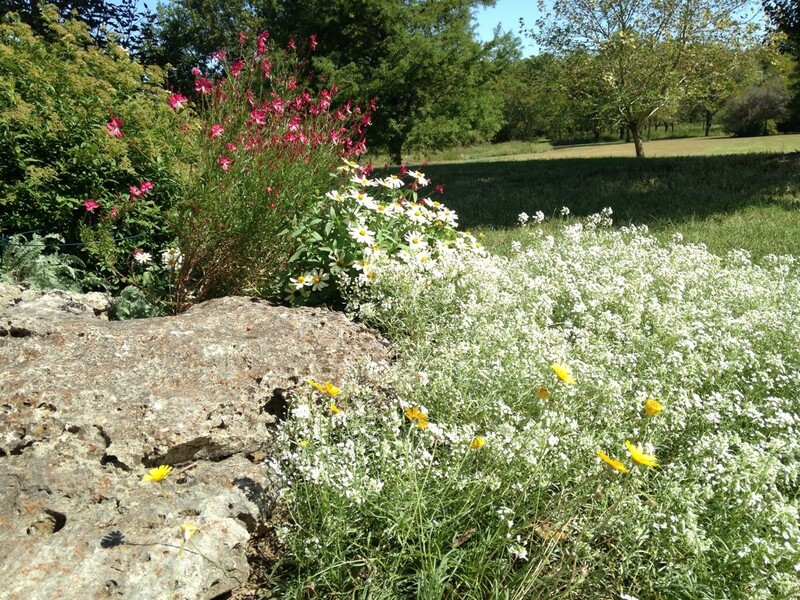 Oklahoma proven plants in the landscape: Pink, Guara; white foreground, Snow Princess; yellow, Nine-nerve daisy; white background, Mexican Zinnias. 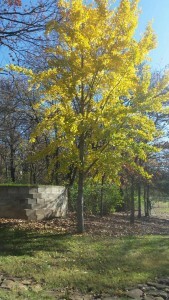 Ginkgo tree thriving and displaying brilliant fall color. An amazing evergreen shrub which does so well in Oklahoma. 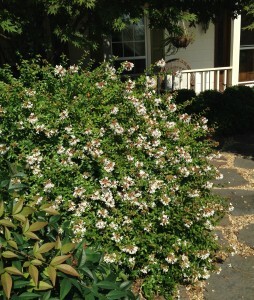 This sweet smelling, flowering abelia is a great shrub for partial shade.